If you have ever painted anything, be it walls or furniture, you’ve probably checked for drying times to see how long you have to wait between coats of paint. But we don’t often check for curing times, which is also a very important part of the painting process. 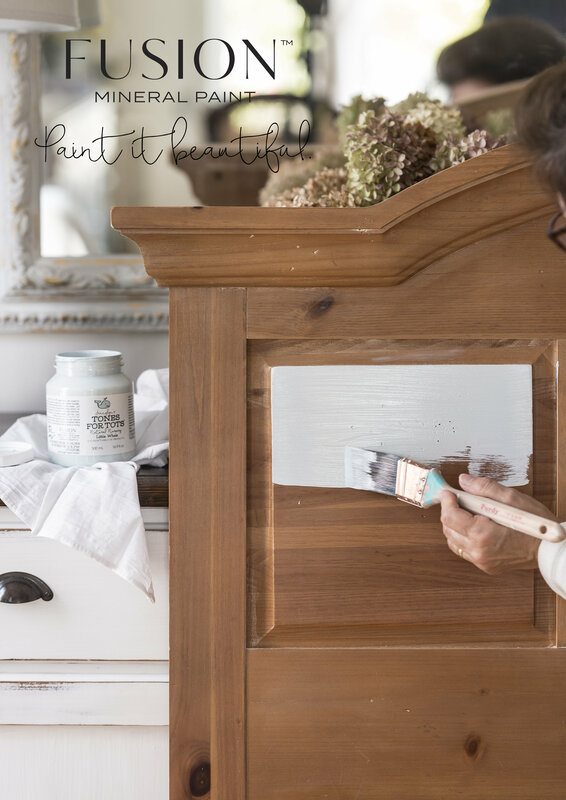 Furniture paint curing is something that comes up over and over again on the Paint It Beautiful Facebook page. Just because an item is dry the touch, does not mean the paint has cured or become hardened (set). 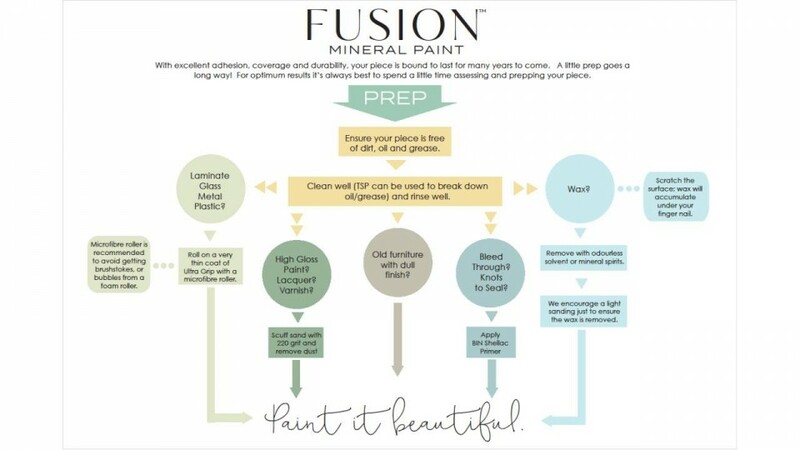 So we wanted to explain the differences between the two and how that applies to Fusion Mineral Paint. 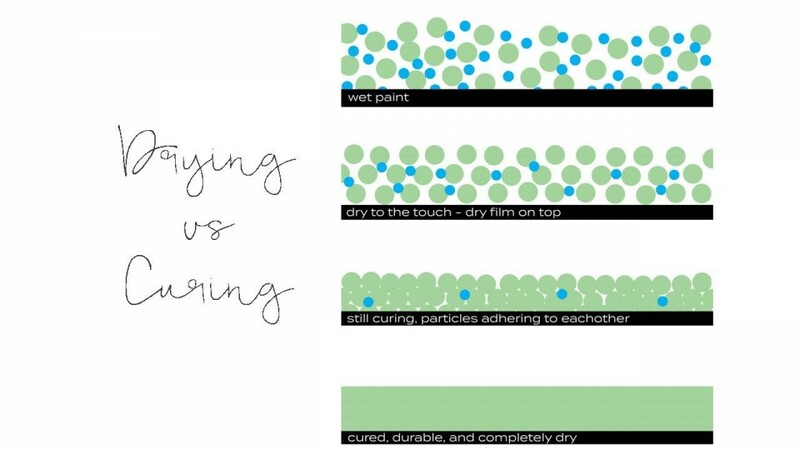 We are going to try to explain why you need to understand the difference between furniture paint curing and furniture paint drying! After we finish painting, paint can feel dry to the touch quite quickly. With Fusion Mineral Paint, that is usually about 2 hours. What this really means is that the water and solvents evaporate in the paint, leaving the top layer of the paint to feel “dry”. It is, however, not fully dry. Meaning there are more layers under the top layer of paint that have yet to dry. 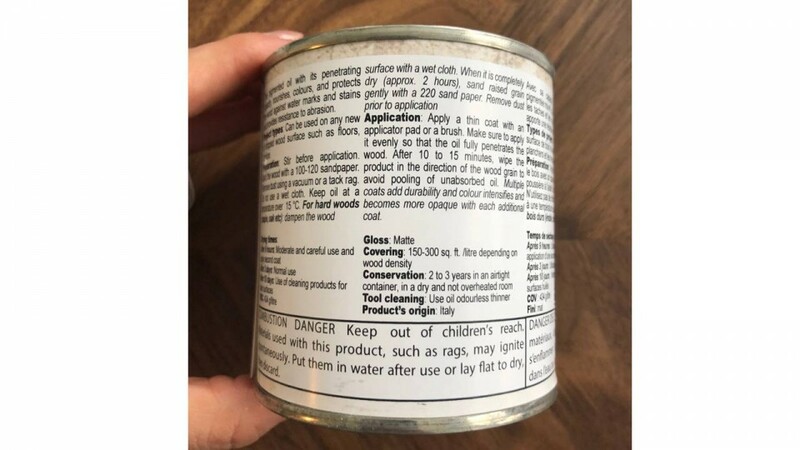 This means the paint can still be easily damaged by scratches and hard use of the item. So let’s say you painted a table and did 3 coats of paint. Even if it the tabletop feels dry to the touch, you should not immediately set the table and invite your friends over to admire your freshly updated table! Although it might LOOK ready to use, you risk damaging the paint. This leads us to paint curing. Paint curing is the process when your paint has fully hardened. Or fully preserved. This means it is now durable enough for you to be able to wash the surface, put objects on it and be much more resistant to scratches and dings of day to day life. The curing time is different for every type of paint (oil based vs latex) and is also impacted by your environment (humidity vs dry). If you live somewhere with high humidity. WHAT HAPPENS? If you live somewhere DRY, WHAT HAPPENS? Another factor to consider is the type of surface the paint is applied to. 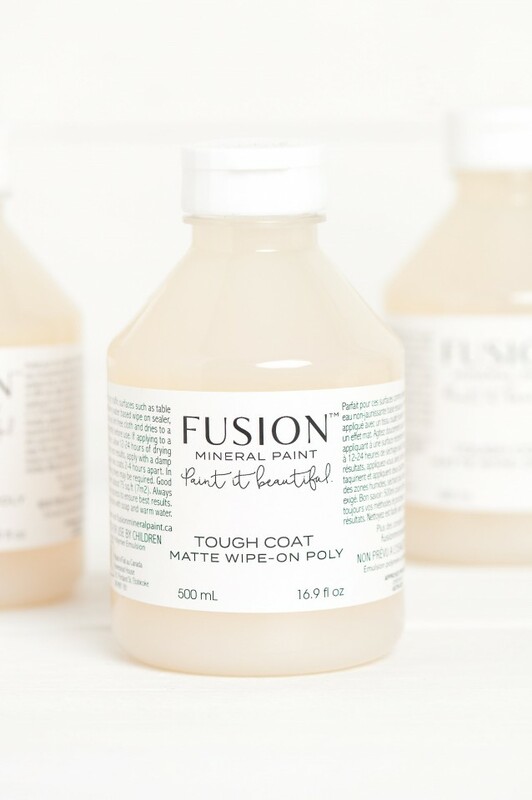 Fusion Mineral Paint is a 100% acrylic paint with a built-in topcoat made from 100% resin. This means you do not need to seal it with an additional product to ensure that it is waterproof. It is already built-in for you. 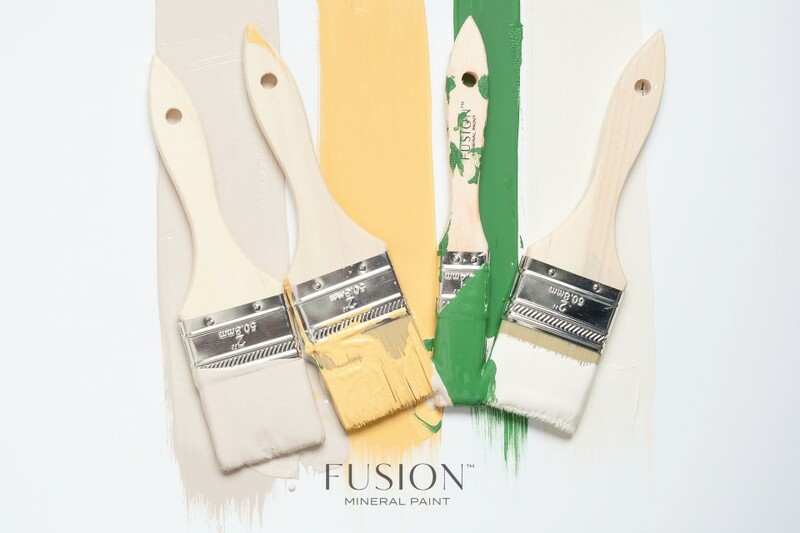 Fusion Mineral Paint is dry to the touch after 2 hours and can accept a re-coat of paint after 4 hours. We recommend that cure time with all acrylic paints is 21 days, however, painted surfaces can be gently used after 24-48 hours of drying time. So let’s go back to that table you painted with Fusion Mineral Paint. During the curing process with Fusion Mineral Paint (the first 21 days after you paint it! ), we advise that you do not start putting copious amounts of water on it or start scrubbing it with a waterlogged scouring pad. Unless you want to wet distress of course, then read our post about How to Wet Distress. While your furniture is curing it doesn’t mean that you can’t use it! Of course, you can use it lightly as the curing process is happening. None of us are THAT patient! However, there are certain things that you would not want to do, such as cover it with plastic wrap (for example, plastic placemats), leaving a damp dishcloth on it or putting a cold cup of water on it (the condensation will wreck it!). All of this will prevent the curing process from occurring properly and came damage your piece. Once Fusion has cured fully, it yields a highly durable and washable finish. If you choose to, you can achieve a beautiful luster or by adding a Beeswax on top or the Tough Coat Finish. If you’re asking why we would suggest our Tough Coat finish, our Tough Coat is already built-in to the paint, it’s because not all items are created equally. Sometimes some areas need a bit of extra TLC and you want that an extra layer of protection for peace of mind on a high traffic item like a dining room table. 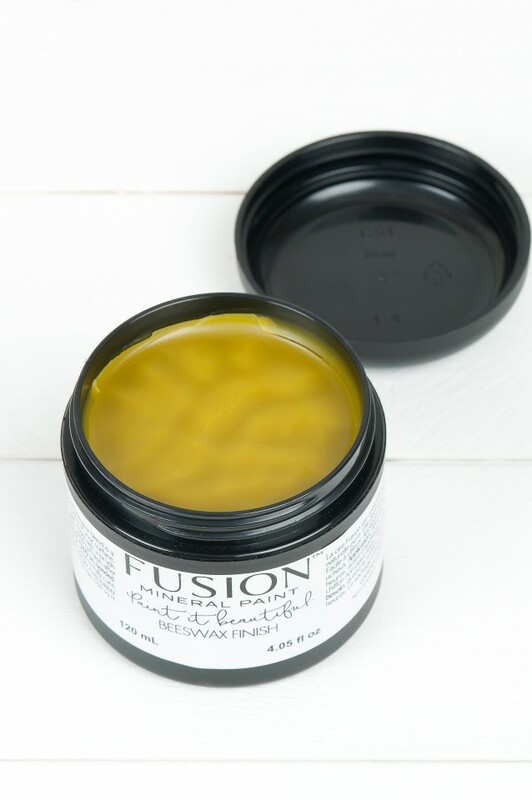 We explain it all and do a scrub test in our blog post all about Fusion’s Tough Coat. 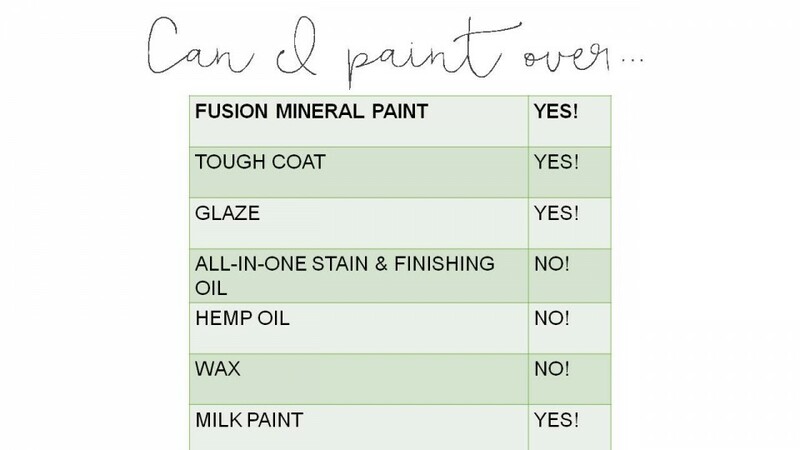 We hope this helps answer the differences between paint drying and paint curing as it applies to Fusion Mineral Paint. If you have any specific questions about an item you are painting, we highly recommend joining our Facebook “Paint it Beautiful” group and asking it there. Our community is always there to help you out.